Michael Burnham: Shenzhou has been called to the edge of Federation space to investigate damage done to one of our interstellar relays. Blast burns around the hole are inconclusive. Were they caused by an asteroid, or was it deliberately destroyed to limit Starfleet communications? And if so, by whom? Despite the risks of our mission, I remain optimistic. It's hard not to be in the face of such beauty in this case, a binary star system. Around these two suns, ice, dust and gasses collide to form the planets future generations will call home. SARU: Based on initial readings, I would say the relay doesn't appear to have been damaged naturally. Georgiou: Number One tells me you suspect foul play. Despite the first officer's constant need to dismiss my ideas She apparently agrees with you. SARU: There is something else out there. GEORGIOU: Magnify. Is that what damaged our relay? What am I looking at? 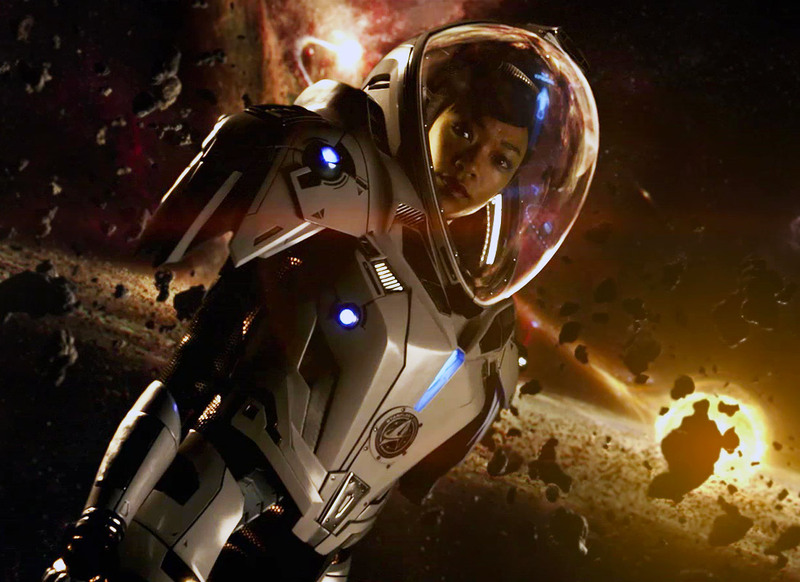 Star Trek: Discovery's story starts out in the first episode with Federation Ship: The USS Shenzhou investigating why a Federation Interstellar Relay is down, which it appears to damaged by "someone", rather than natural causes. Eventually they discover something else is "out there" and Michael Burnham goes to investigate only to discover that it is a Klingon ship, then, accidentally, setting off a series of chain reactions that starts the war between the Klingons and the Federation. This is the main plot of the first season. My question is, Did [any of] the Klingons damage the interstellar relay? I could be wrong, but I don't recall the Klingons (or any of the house leaders) ever taking credit for the damage done to the relay, only that the war is started when Micheal's curiosity prompts her to get way too close to the Sarcophagus Ship (a religious symbol to T'Kuvma), resulting in killing a Klingon. Perhaps this is meant to be a longer term mystery addressed in later seasons, given the other espionage-like plot twists the first seasons reveals, but I know there is also additional tie-in material (Comic Mini-series, Novels, Production Book) and perhaps something more concrete is mentioned there? Browse other questions tagged star-trek star-trek-discovery plot-device or ask your own question. Do Klingons do surgery without anaesthesia?